With the outcome of the General Election catching everybody by surprise – especially the Prime Minister – what are the implications for your finances? The Westminster wheeling and dealing is still going on behind the scenes, but it looks likely that, for the time-being at least, the UK will be governed by the Conservatives, supported by the DUP and by the absence of Sinn Fein MPs, who never take their seats and who will by default help Theresa May increase her slender majority. So assuming the Tory’s manifesto will still form the basis of the Queen’s Speech, let’s have a look at what they promised. In their manifesto, the Conservatives repeated their 2015 manifesto promise of a personal allowance of £12,500 and a higher rate threshold of £50,000 (outside Scotland) by 2020. The way inflation is picking up, that pledge means little more than keeping pace with prices, which is already built into the legislation. 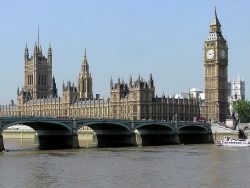 Although there were references to “low taxes”, the previous manifesto’s promises to freeze rates for income tax and national insurance had disappeared. Given the problems Chancellor Philip Hammond encountered with his March Budget, the silence is unsurprising. One outcome of Thursday’s General Election is that we at least know Mr Hammond will remain as Chancellor – again, for the time-being. Rumour had it that he was to be out on his ear once Mrs May was back in power. But what if the Tory/DUP alliance fails and Labour end up forming a government. What of their manifesto promise? The Labour Party manifesto promised no personal national insurance increases and no income tax increases for those with income of up to £80,000. Beyond that point, Labour wants to apply a 45% rate (which currently starts at £150,000). There would also be the return of a 50% top rate, beginning at £123,000. The odd-looking starting point is driven by the fact that this is the income level at which all the personal allowance is lost. Income tax and national insurance will account for about 44% of all tax revenue in 2017/18, according to the Office for Budget Responsibility’s March 2017 estimates. This makes reductions expensive and increases valuable. With even the Conservatives talking about not eliminating the Budget deficit until 2025, the hard truth is that, regardless of political hue, no government can afford income tax giveaways. All of which means that if you want to see your income tax bill reduce, you need to elect for more financial planning. For help and advice with financial planning, please get in touch with the team at Hartsfield.